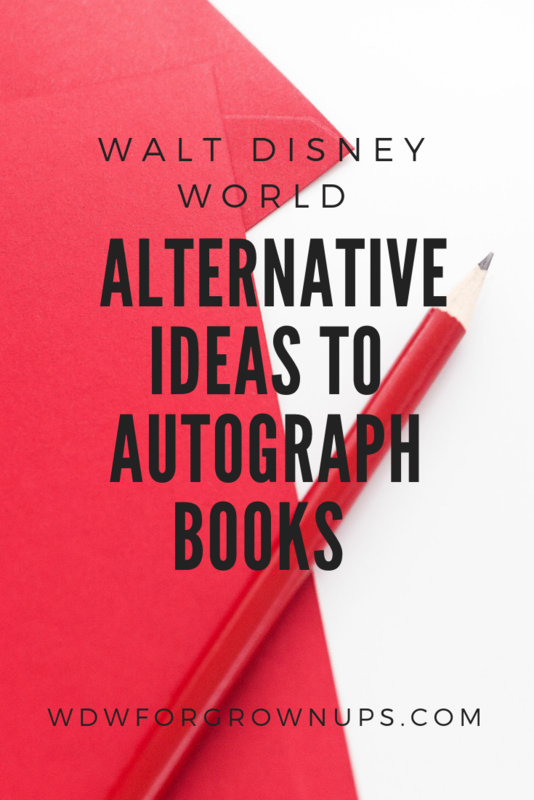 The search for alternative materials to the classic autograph book took on new life in the fan community when pillowcases became popular items to have signed by Disney Characters. Lightweight and easily foldable, pillow cases are super portable in your day bag. Pillowcases aren't the only fun fabric autograph options, you can wear a pair of white Keds or Tomsshoes to be signed, maybe a light colored ball-cap, or even quilt squares can create unique personal surfaces for you to display your autograph collection on. Autograph Tip - For fade-resistant, permanent colors on all fabric autograph surfaces - be sure to buy a set of fabric markers before you leave home. You should be able to pick them up at your local fabric or craft store. Paper is always popular, and the classic autograph book form is a solid choice. However - you can have some fun and step up your game by creating unique scrapbook pages to be signed, or bringing along a photo mat. Later you can add a family photo from your vacation and surround it with your autographs. These options do require a secure, waterproof way to carry your pages. My favorite paper thing to have signed is a sun parasol! Channel your inner Mary Poppins by having the Disney Characters inscribe your parasol. It's a fun way to show off how well you've done in your search, and a practically perfect way to stay in the shade. If you'd like to do something distinctly Disney, and create a 3D canvas to display your autographs on back home, consider buying one souvenir and taking it up a notch with signatures! Large blank Vinylmation figures make for a sleek and modern surface for your collection to grace, stick with black ink on the white figure " or punch it with with multi-color sharpies. For something truly simple and completely classic, a black ear hat with your name embroidered on the back can also take your autograph collecting to the next level when Characters sign their names in silver sharpie. 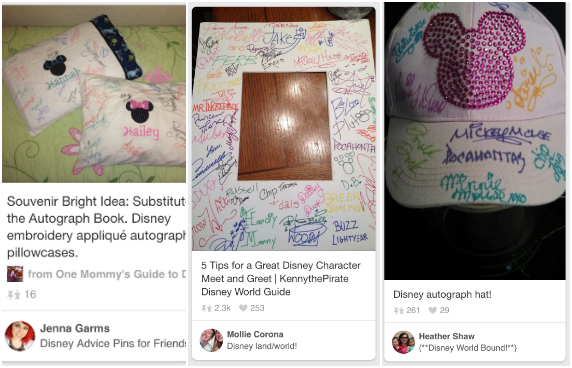 Do you go on the hunt for autograph hunt during your Disney vacations? What are your favorite things to have signed? 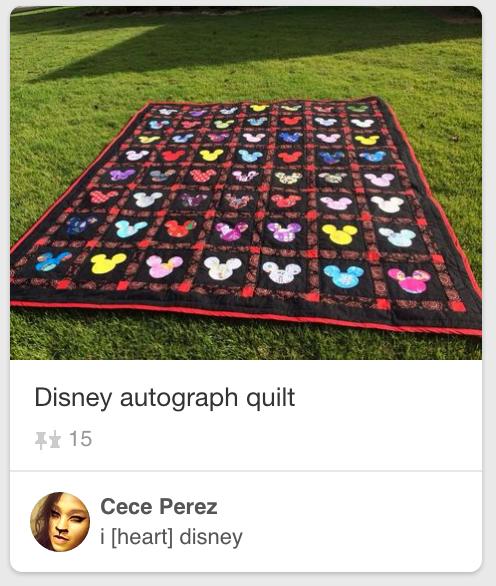 Share your ideas by leaving a comment and let us know how you plus your collection! A number of folks ask that the character sign his/her Sorcerers of the Magic Kingdom card.